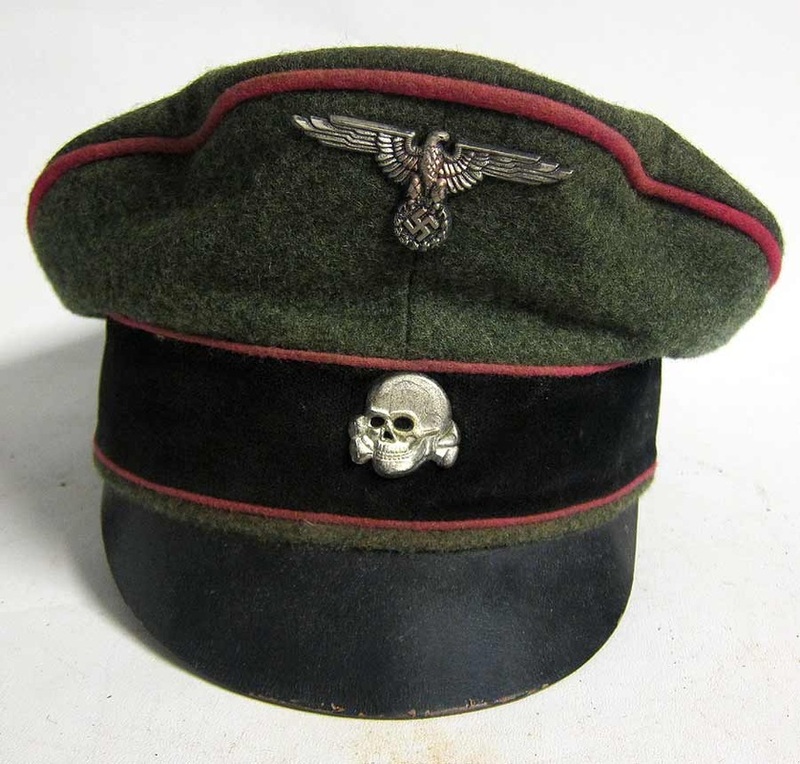 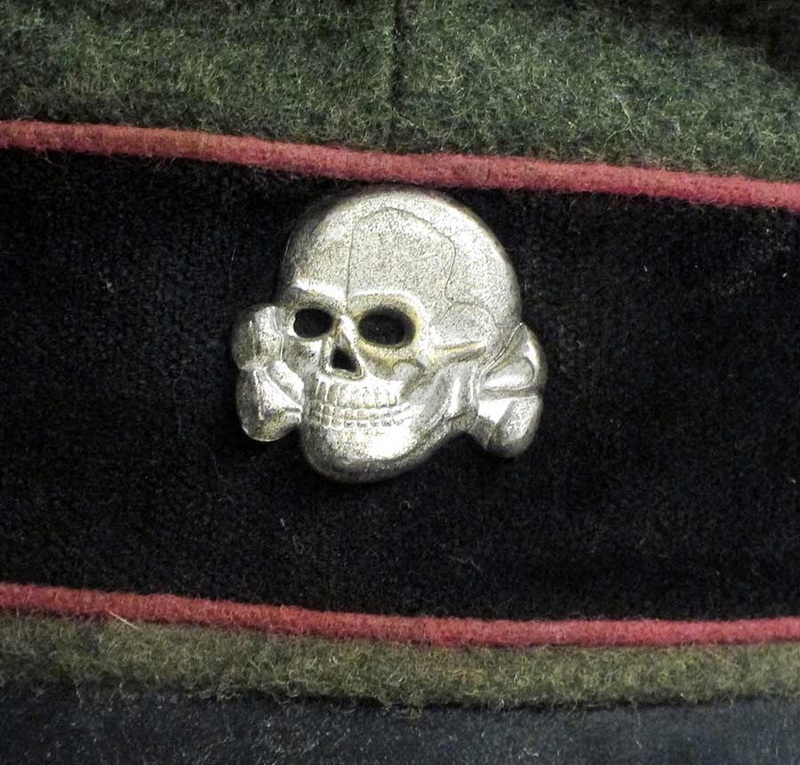 This is a reproduction, aged, Schirmmützen crusher cap for a Waffen SS Panzer unit. 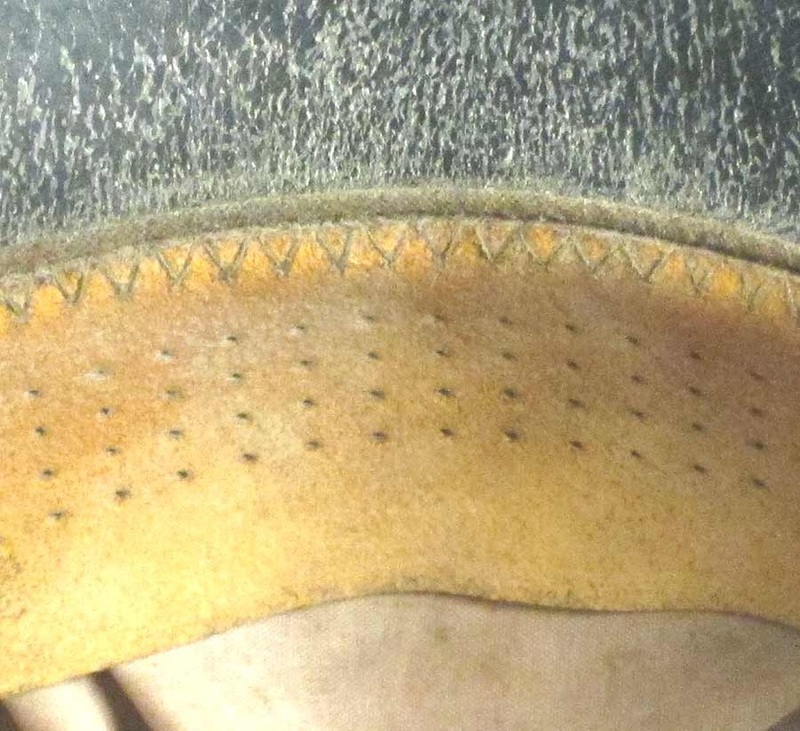 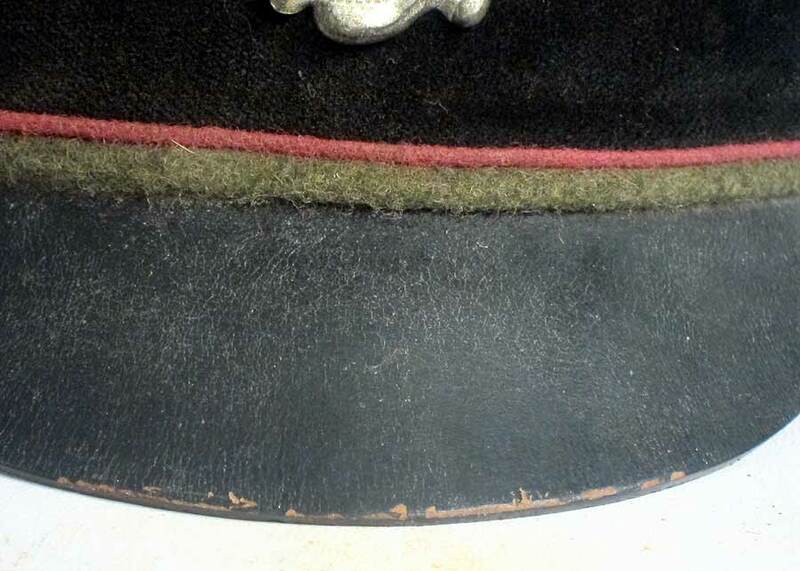 The makers mark says 'EREL' and the genuine leather sweat band is dry but fully sound and also marked 'EREL'. 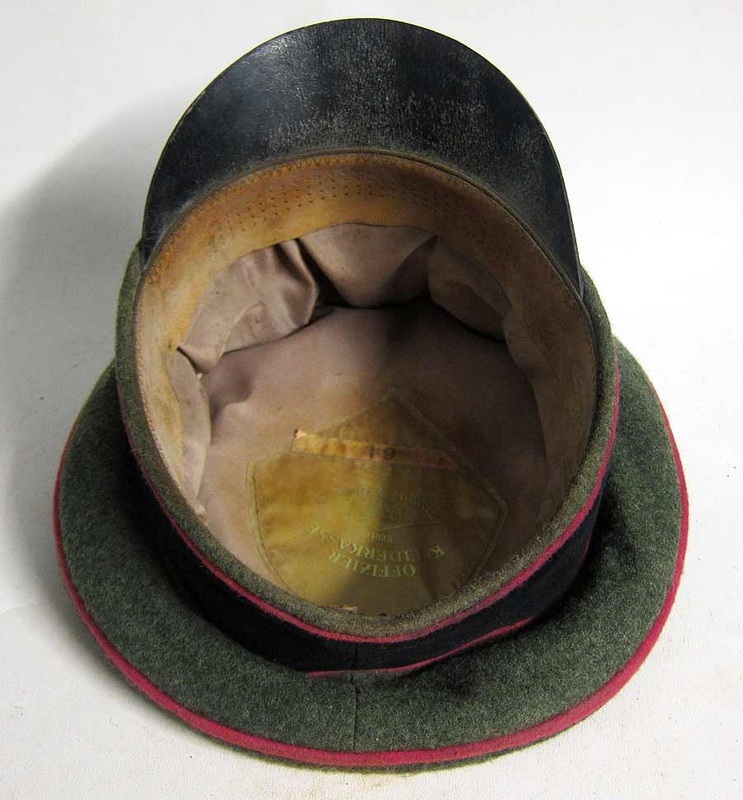 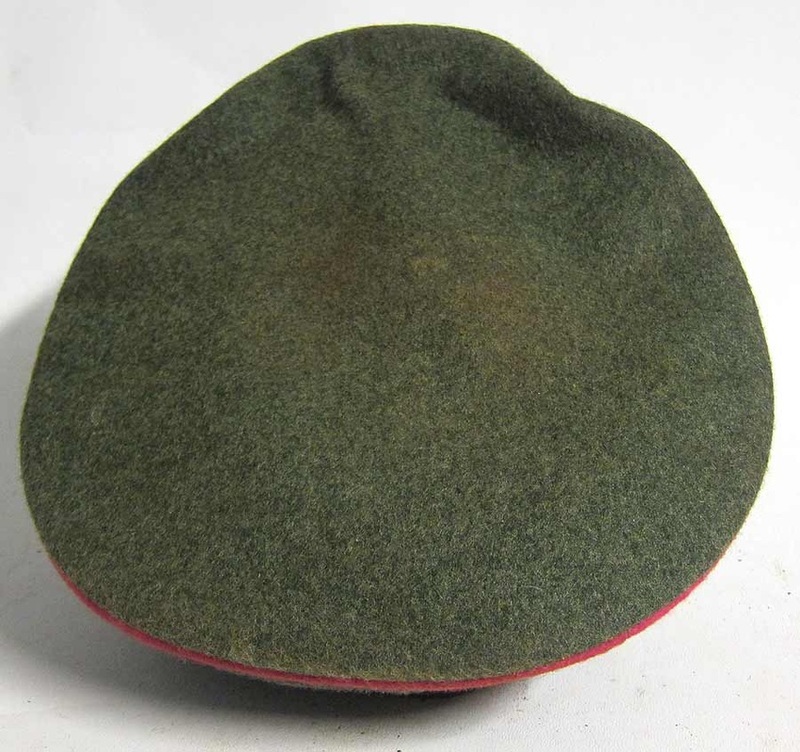 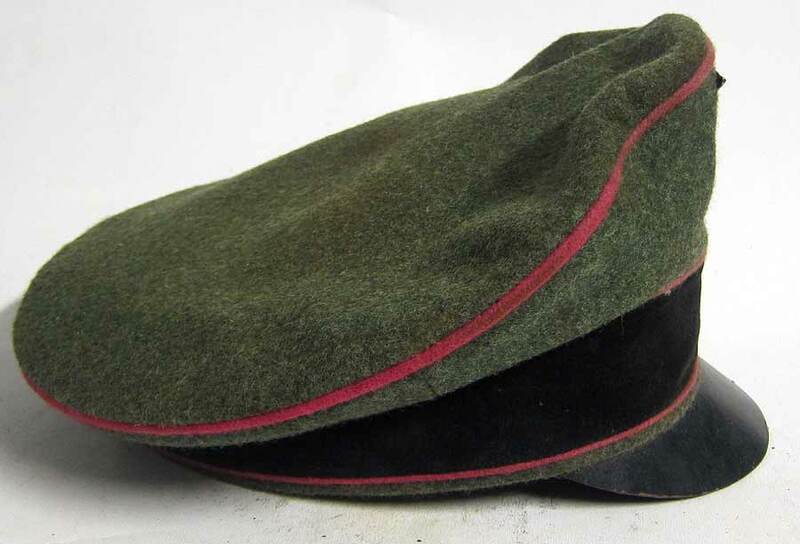 We have made up this cap to look like one which has been worn many times in combat. 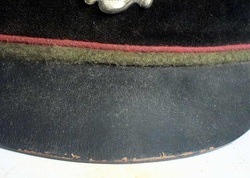 The pink piping is dirty and faded in places. 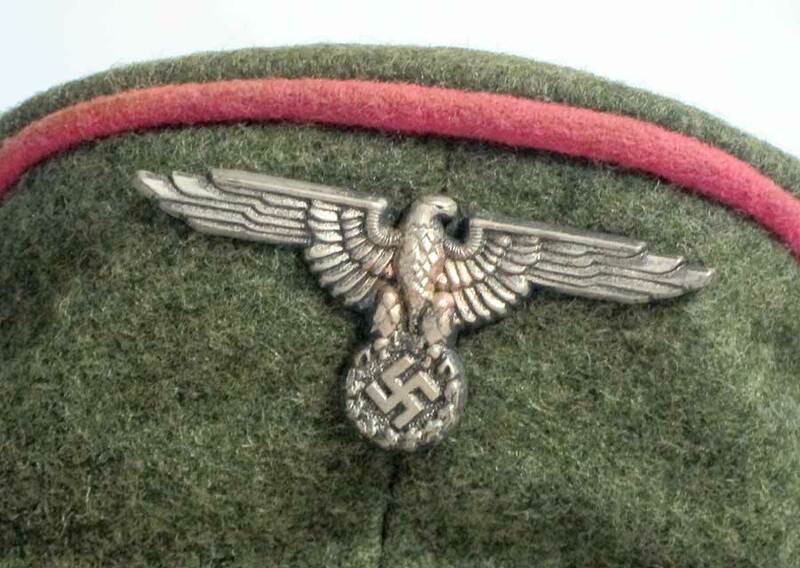 The cap is made in Germany. 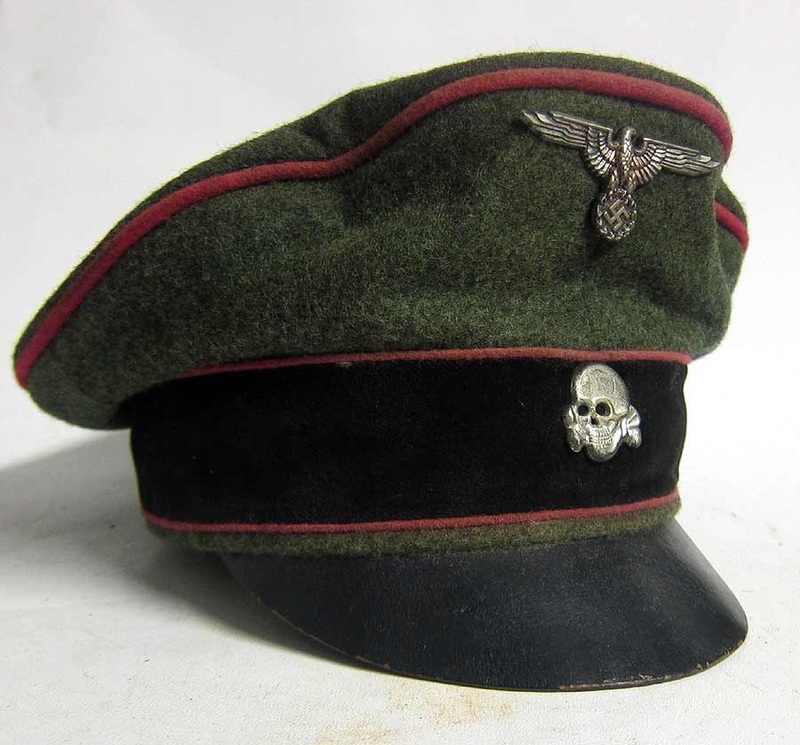 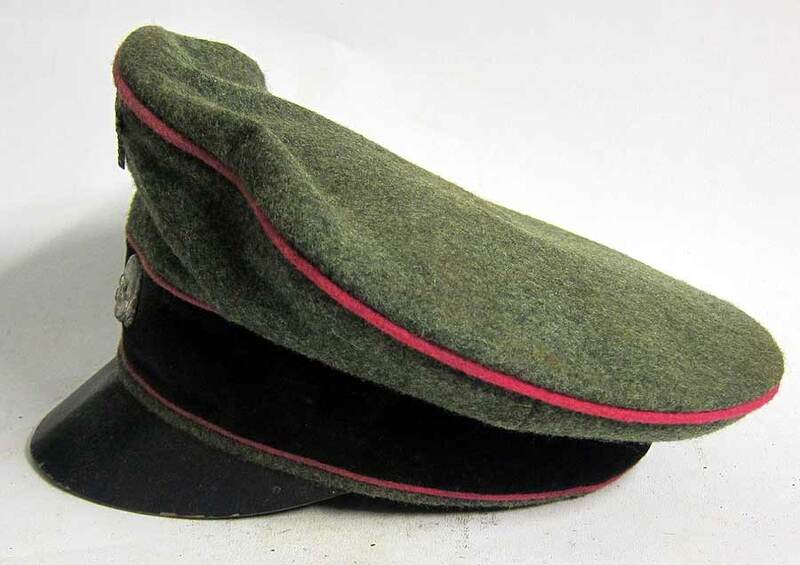 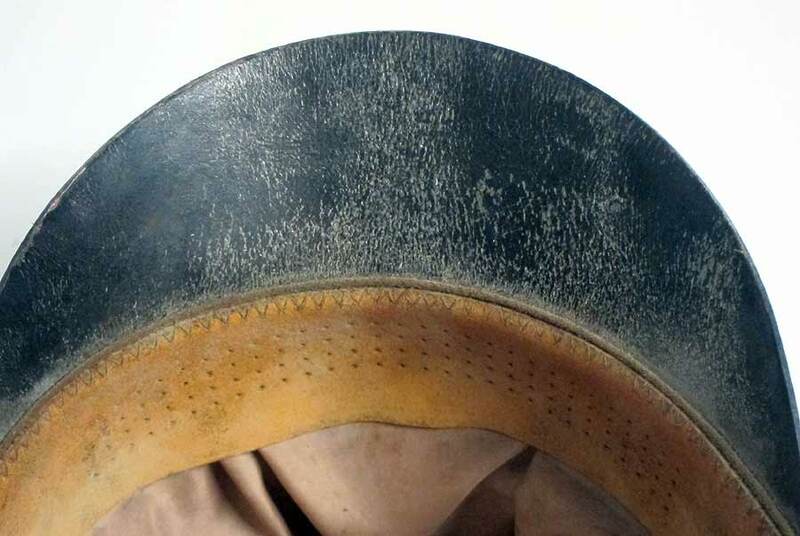 A genuine Waffen SS crusher cap in this condition will easily go to several thousand pounds, which is out of the price range of most average collectors. 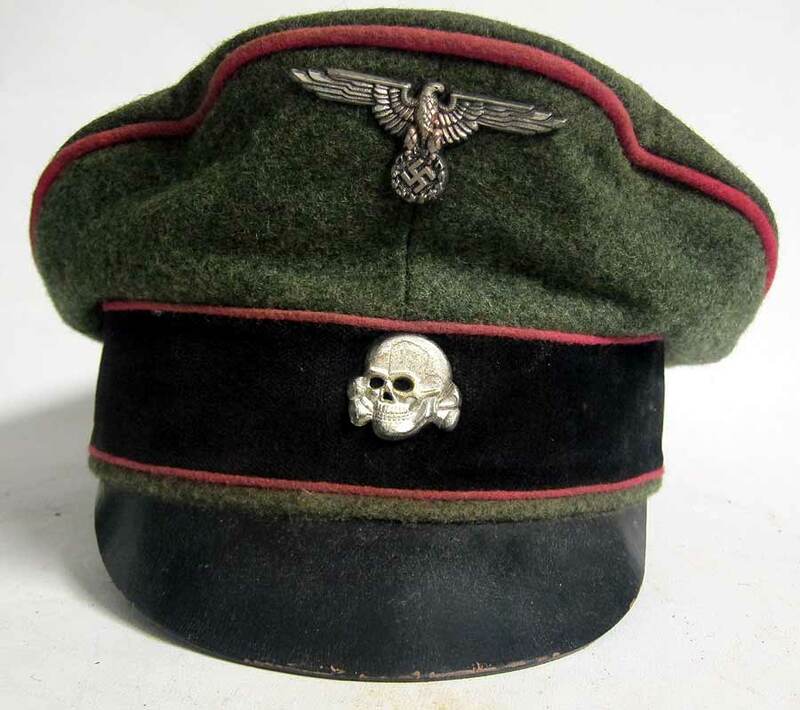 This one looks the part and is at a snip of a price.